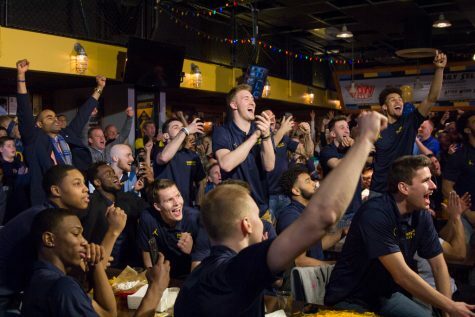 Marquette men's basketball operating expenses have increased roughly 50 percent between 2014-'15 and 2016-'17. 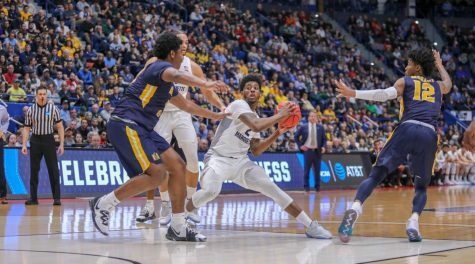 During head coach Steve Wojciechowski’s tenure, the Golden Eagles have continued their trend of playing in non-conference tournaments. The Golden Eagles have gone to Orlando, New York City and Hawaii in search of solid wins and greater exposure. But those long road trips have a cost. Men’s basketball operating expenses have increased by over 30 percent in the last three seasons according to the Equity in Athletics Data Analysis, an annual Department of Education report of athletic department financial information. Total men’s basketball expenditures have gone from just over $9 million in Wojo’s first season to approximately $11.8 million in the 2016-’17 season, the most recent year available. “We’re always going to look to fund the opportunities that we think best position our program to do what we expect them to do in any given year,” deputy athletic director Mike Broeker said. “Those neutral-site opportunities you’ve seen are incredibly important for getting quality games. Most of that rise is due to the increase in operating costs, or what EADA calls “game-day expenses.” These are any costs include transportation, uniforms, meals, lodging and equipment. Data from EADA shows operating expenses increased from a little over $3 million in Wojo’s first year to close to $4.37 million in 2016-’17, an increase of 43.6 percent. Some of that increase is simply a matter of different parameters for what’s included in the EADA. Rent payments to the BMO Harris Bradley Center, which were $29,000 per game along with other expenses according to the Milwaukee Business Journal, are also now factored in operating expenses. That makes it appear as if Marquette is spending more money, when the program is actually just reporting a greater share of the money already spent. Broeker said most of the increase is due to variable costs incurred because of travel. 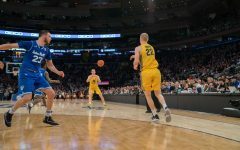 An international trip to Italy in the 2015 offseason, which the NCAA allows once every four years, and the 2016-’17 trip to the NCAA Tournament accounted for a sizable chunk of the increase. Athletic departments often portray these trips as necessary, unavoidable expenses designed to enhance the student-athlete experience. Dan Rascher, the academic director for University of San Francisco’s sport management program, sees another motive for these trips: marketing to potential recruits. Longer road trips are a microcosm of a trend in collegiate athletic departments. 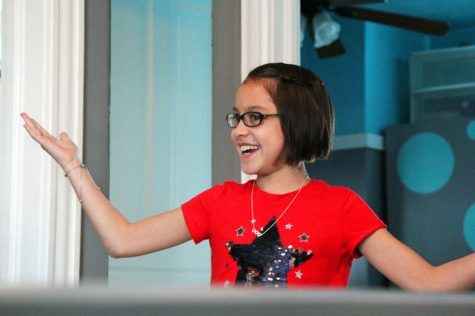 Rascher identified it as the Revenue Theory of Costs. The theory states that athletic departments spend more money simply because they’re making more money, not because they need to do so. Rascher estimated that athletic department budgets have grown by an average rate of 10 percent since 1970, although the growth rate has slowed in recent years. Marquette’s athletic expenses fit this trend. Since 2003-’04, the first year that EADA data became publicly available, the combined reported expenses between men’s and women’s teams have increased by an average rate of 8.29 percent per year. 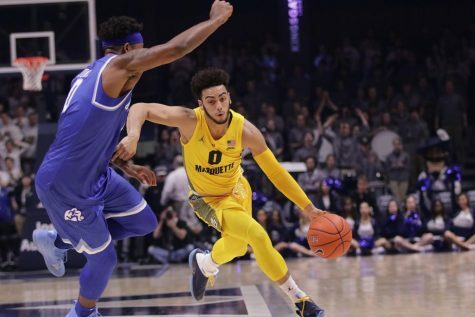 Men’s basketball accounts for a large percentage of Marquette Athletics’ expenses and revenues. 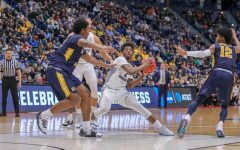 In seven of the 14 years since the EADA began, men’s basketball has accounted for at least half of the combined men’s and women’s sports expenses. 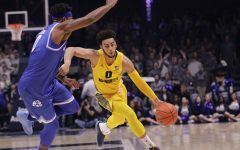 Since 2005-’06, at least half of Marquette Athletics’ total revenue has come from men’s basketball. Last year, men’s basketball accounted for 55.9 percent of the athletic department’s total $34,563,086 revenue. Although the other 13 Division I sports produce some revenue, men’s basketball is the only consistent provider of large profits. In 2016-’17, men’s basketball spent $11,803,633 but pulled in $19,327,629 for a 38.9 percent margin. For comparison, women’s basketball pulled in $3.431,882 but spent $3,359,055 for a profit margin of 2.12 percent. The inevitable question from these numbers is how Marquette Athletics funds such a massive operation. Athletic scholarships are provided through donations to the university’s Blue and Gold Fund. 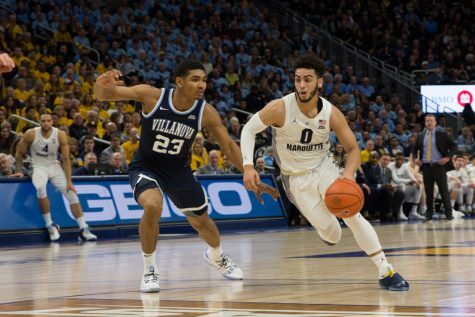 Per the fund’s website, Marquette offers 96 full-tuition scholarships to athletes, just over 70 percent of the NCAA-sanctioned maximum of 136 scholarships. Most seats at the BMO Harris Bradley Center included a mandatory donation to the Blue and Gold Fund as part of the ticket cost. Prior to the passing of the Tax Cuts and Jobs Act of 2017, fans were able to deduct these donations 80 percent on their taxes. Even though that’s no longer the case, the athletic department is pressing ahead with prior plans for ticketing in the new Wisconsin Entertainment and Sports Center next season. “There is a contribution that will be with the tickets (for the new stadium) just like there has been in the past, and that goes all to our scholarship fund,” associate athletic director Brian Morgan said. Despite the new law possibly making fans more hesitant to donate, Broeker is optimistic about the fund’s future. 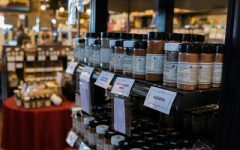 “Our donors and benefactors have been incredibly, incredibly generous and they really understand what they’re providing,” Broeker said. 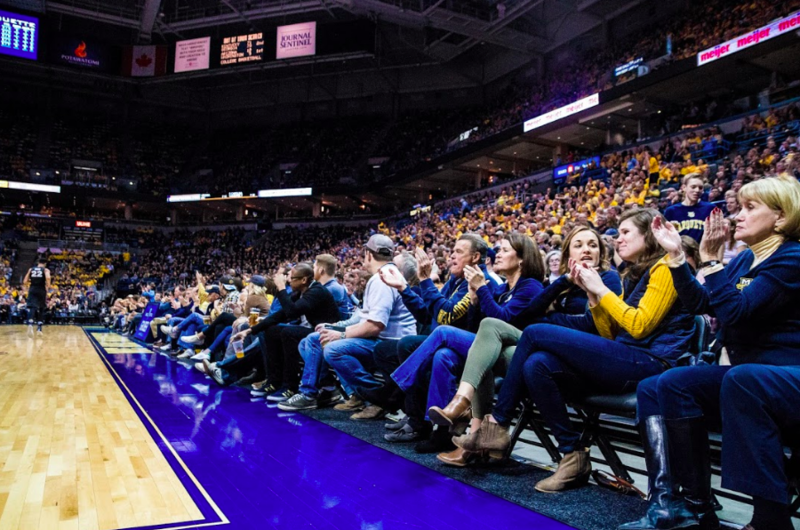 Even though donors fund scholarships, portions of overseas trips and other big-ticket items on the expense reports, Marquette Athletics still draws funds from the university itself. Although the department refused to say exactly how much of its budget comes from the university, Broeker estimated that a typical threshold for a “one-triple-a” program in Division I – schools without competitive football – is roughly 70 percent. Rascher disagrees with the assertion that so few of the county’s athletic departments are self-funded because it assumes revenues and expenses stop at the door of the athletic building, which is not the case. 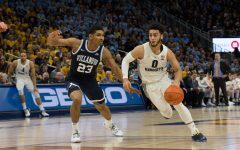 For instance, a player in a non-revenue generating sport may get a scholarship equivalent to 25 percent of Marquette’s four-year tuition. 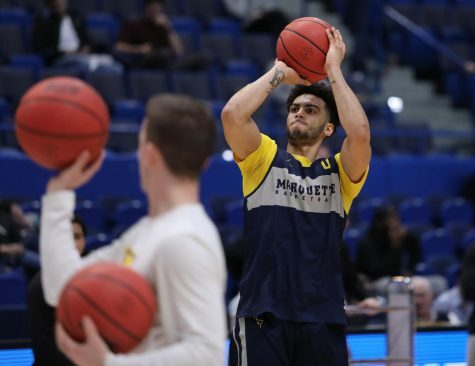 Marquette Athletics’ balance sheet will reflect the expense of covering a year’s tuition, but not the revenues from the 75 percent the student-athlete is paying. 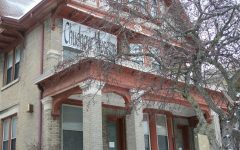 Those payments go to the university’s bursar’s office, even though the athletic department played a decisive role in procuring them. Taking this into account still excludes all the indirect ways athletics boosts the value of a university: free media coverage, increased donations, larger application and enrollment rates and greater brand awareness. 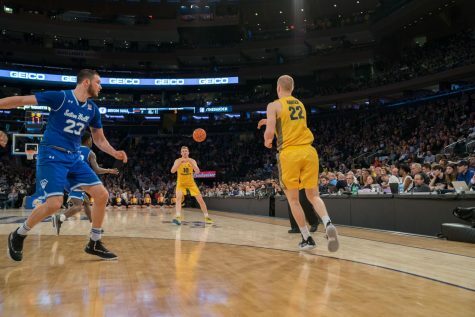 After George Mason’s men’s basketball made its celebrated Final Four run in 2006, the admissions department saw a 350 percent increase in application inquiries and a 54 percent jump in out-of-state applications. 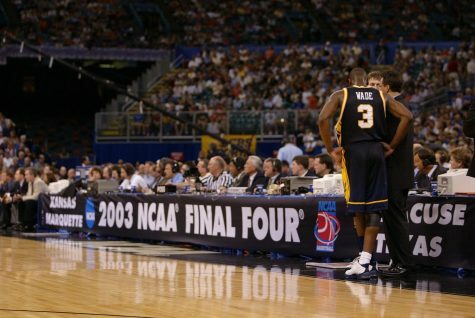 While no Marquette team has reached the Final Four since Dwyane Wade led men’s basketball there in 2002-’03, that doesn’t necessarily need to happen for athletic success to provide a major financial boost to the university. 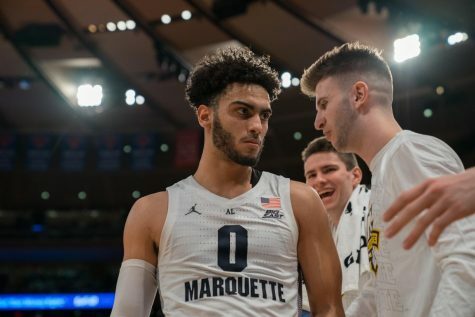 It will be roughly nine months before the 2017-’18 EADA data comes out, but Broeker expects Marquette’s basketball expenses to hold steady next year.